After a lot of research, we finally chose our romantic wedding and honeymoon destination in Hawaii! To our friends and family, we love you so much and we thank you for all you have done for us throughout the years. For those of you who will not be able to share our special day with us, we will keep you in our hearts! We both are truly grateful for each and every one of you! We are truly blessed! Our Hawaiian honeymoon will be enhanced with outdoor adventures on Oahu! We will choose to snorkel or SCUBA, go surfing or paddle boarding, jet ski, parasail, go fishing, or hiking, embark on eco-tours, and more. With such a striking environment boasting natural beauty and breathtaking attractions, we will enjoy an array of outdoor adventures on our honeymoon at THE MODERN HONOLULU! On our honeymoon we will be pampered with a stay in the Ocean View King with Terrace. This 340 square foot, stylish sanctuary boasts a fresh palette of whites and neutrals, original, custom-designed furniture with custom fabrics, and a 46” LCD TV. Our Honolulu hotel room also promises us a plush king size bed with lavish linen bedding, slippers and robes, a relaxing bathroom with teak louvers allowing natural light in, an oversized bathtub, glass-enclosed shower and luxurious bath amenities. Outside on the private terrace, we will witness the tranquil ocean and the alluring shores of Waikiki Beach. A stay in the Partial Ocean View King with Terrace is a lovely wedding gift for our Hawaiian honeymoon at THE MODERN HONOLULU. This 340 square foot, romantic retreat boasts a fresh palette of whites, neutrals and earth tones, original, custom-designed furniture with custom fabrics, and a 46” LCD TV. Our stunning Partial Ocean View room also promises us a plush king size bed with lavish linens, slippers and robes, a relaxing bathroom with teak louvers allowing natural light in, an oversized bathtub, glass-enclosed shower and luxurious bath amenities. We will witness partial ocean views while taking in the soft sea breezes in the sophisticated settings of our private terrace. Our tropical honeymoon in Oahu promises us a place to stay in the charming settings of the Ocean View Suite. This 665 square foot honeymoon haven boasts a fresh palette of whites, neutrals and earth tones, original, custom-designed furniture with custom fabrics, a 46” LCD TV, and a separate living room.Our stylish suite also promises us a plush king size bed with lavish linen bedding, slippers and robes, a relaxing bathroom with teak louvers allowing natural light in, an oversized bathtub, glass-enclosed shower and luxurious bath amenities. From the spacious private terrace, we will luxuriate in the tropical elegance while admiring breathtaking views of the ocean and the harbor. We will experience an unforgettable honeymoon in Hawaii with a stay in the Ocean Front Suite. This 485 square foot tropical retreat boasts a fresh palette of whites, neutrals and earth tones, original, custom-designed furniture with custom fabrics, a 46” LCD TV, and a separate living room. Our charming suite also promises us a plush king size bed with lavish bedding, slippers and robes, a relaxing bathroom with teak louvers allowing natural light in, an oversized bathtub, glass-enclosed shower and luxurious bath amenities. The two oversized private terraces both offer a spectacular place to witness the beauty of Hawaii’s colorful sunsets, and views of the tranquil marina, pool and ocean. 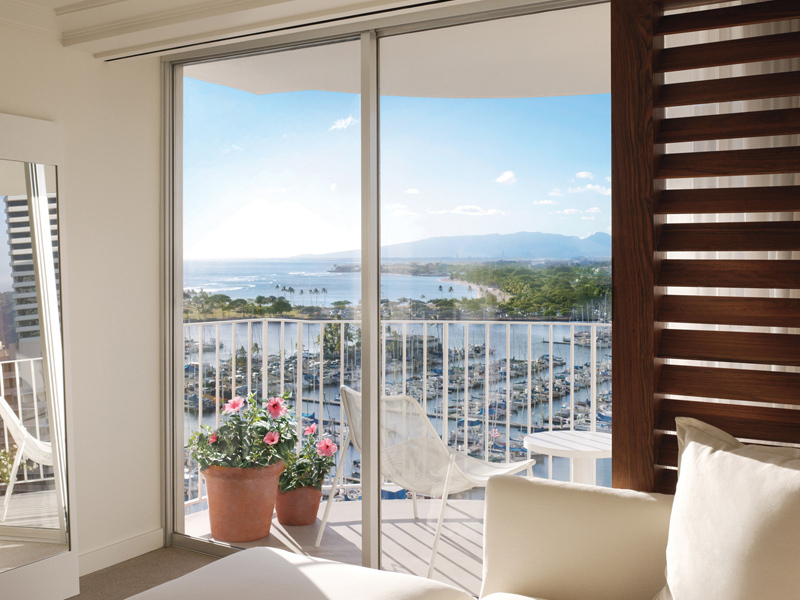 At THE MODERN HONOLULU we will indulge in the contemporary and chic settings of the Studio Suite with Terrace. This stunning sanctuary is beautifully designed with a fresh palette of whites, neutrals and earth tones, original, custom-designed furniture with custom fabrics, a 46” LCD TV, and a sitting area. Our 373 square foot suite also promises us a plush king size bed with lavish linen bedding, slippers and robes, a relaxing bathroom with teak louvers allowing natural light in, an oversized bathtub, glass-enclosed shower and luxurious bath amenities. 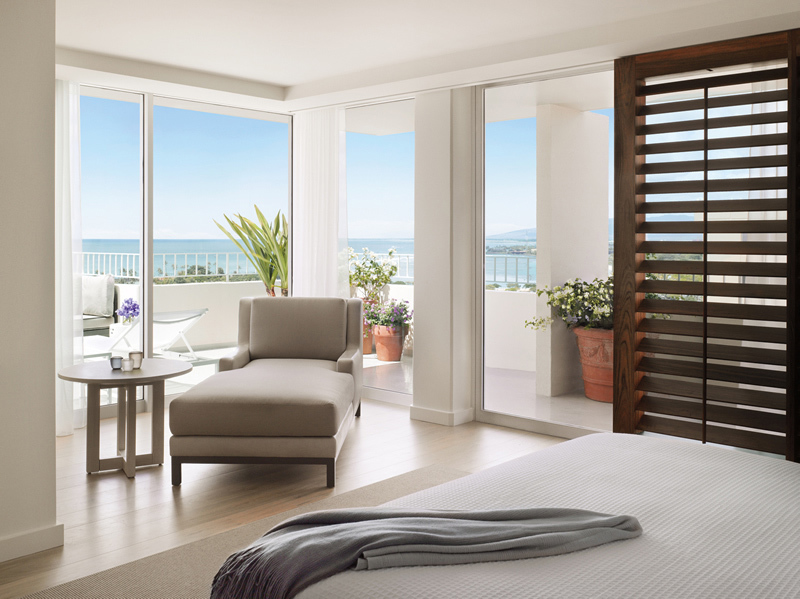 Outside on the private furnished terrace, we will witness breathtaking views of the sparkling ocean and beyond. 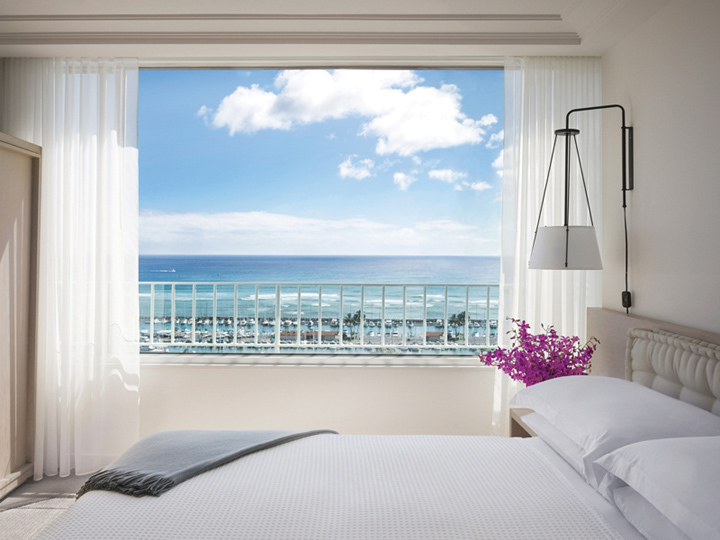 Together we will take delight in the welcoming surroundings of the Waikiki Penthouse on our romantic Hawaiian honeymoon at THE MODERN HONOLULU. This luxurious honeymoon haven is beautifully designed with a fresh palette of whites, neutrals and earth tones, blond-wood floors, original, custom-designed furniture with custom fabrics, a 55” LCD TV, a living room, and a formal dining room with an elegant teak table. Our 1,400 square foot Waikiki Penthouse also offers a kitchen with king size bed with luscious linens, a relaxing bathroom, an oversized bathtub, glass-enclosed shower and luxurious bath amenities. Outside on the 1,500 square foot, landscaped furnished terrace, we will admire panoramic views of the harbor and the sparkling Pacific Ocean and beyond. At THE MODERN HONOLULU we will luxuriate in 24-hour room service. We will choose to sleep in and eat breakfast in bed, delight in an in-room lunch or share a romantic dinner on our private terrace admiring tropical views. Their extensive menu features fresh fruit smoothies, homemade granola parfaits, omelets, eggs benedict, and more for breakfast, and sandwiches, burgers, pastas, pizzas, rib eye steaks, fresh fish, and more for lunch and dinner. Arbors, bougainvillea and hibiscus create a garden allure among the al fresco seating of The Grove while lush banquettes and overstuffed wicker chairs beckon us to lounge in Passageway, an alcove fringed with ferns and palm fronds. Drinks and delights at The Grove and Passageway are as stylish as the surroundings. We will choose from an expertly curated wine list, island microbrews including Kona Brewing Co.’s Big Wave Golden Ale, signature cocktails, and more. 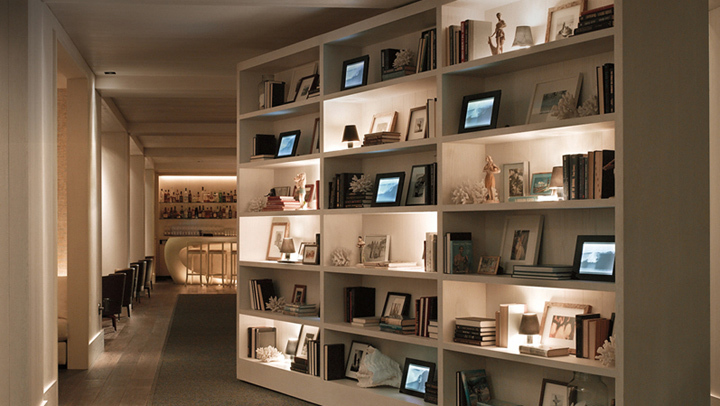 Waiting demurely behind a wall of books in the lobby of THE MODERN HONOLULU, The Study opens at 5pm each evening. With a neutral palette, clean lines and subtle sophistication, we will indulge in legendary drinks, clever concoctions and refreshing beverages in the comfort of endless sectionals, lush ottomans, comfy chairs or seated right at the bar. We will follow the velvet rope to the most exclusive of Honolulu nightclubs. The most popular of DJs drop in to guest-spin while celebs, locals and tourists are all lured to this nightclub. We will dance beneath 40,000 lights or sink into a seat and drink in the scene. This level of service, a signature of THE MODERN HONOLULU, is uncommon among clubs in Waikiki so we will reserve a VIP table for an enhanced island experience. 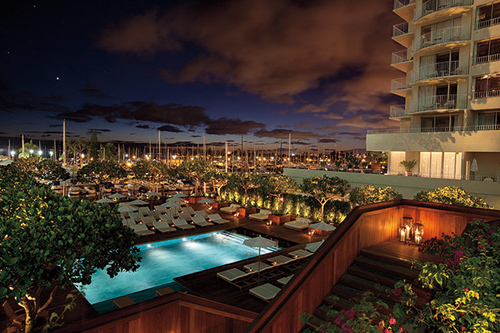 THE MODERN HONOLULU introduces cosmopolitan chic for an unforgettable honeymoon in Hawaii on the island of Oahu. This stylish, sophisticated resort promises us the best of Waikiki with authentic, indulgent dining and drinks in restaurants ran by celebrity chefs and celebrated chefs. We will explore the island at our own leisure with eco-tours, outdoor adventures, watersports, shopping, all drenched in the rich history and culture that is Hawaii. In a tranquil setting at The Spa at THE MODERN HONOLULU, we will journey to a place of peace and calm with an array of spa treatments and services. With your wonderful wedding gift, we will create unforgettable honeymoon memories with this extra resort credit! Combining style and sophistication, our Hawaiian honeymoon at THE MODERN HONOLULU presents a world of luxury that is as refined as it is relaxed. Overlooking the marina and footsteps away from the top ranked beach in America, stunning views of the Pacific Ocean and city skyline surround this Honolulu hotels’ guest rooms and suites. We will experience unique restaurants, vibrant nightlife, intimate pool settings, exhilarating spa treatments, and all that Oahu has to offer, including luxury shopping, beaches, nature, and more. I will receive a soothing Hawaiian Lomi Lomi Massage on my tropical honeymoon on Oahu. In the tranquil settings of the LATHER Spa, I will be pampered with a unique healing massage inspired by ancient Polynesians and the master healers Lomi-Lomi of Hawaii. Lomi Lomi works muscles gently and deeply, with continuous flowing strokes that calm like ocean waves. The Hawaiian oils will nurture my skin and body and enable relaxation. On my romantic honeymoon on Oahu I will indulge in the Hot Stone Massage in the LATHER Spa at THE MODERN HONOLULU. Healing with stones is an ancient Hawaiian form of therapy. This balancing, restorative treatment uses warm stones as an extension of the therapist’s hands to induce deep muscle relaxation. Together we will experience side-by-side pampering in a tranquil Couple’s Suite. We will enjoy our choice of massage by glowing candlelight. Massage choices include calming relaxation, flowing Hawaiian Lomi Lomi, or pain-relieving Deep Tissue Massage. At THE MODERN HONOLULU, I will be in need of this revitalizing treatment after a day of fun in the sun. In the tranquility of the LATHER Spa, I will refresh overexposed skin with this detoxifying body mask and hydrating body lotion treatment. This luxurious facial is an indulgence customized to meet all my specific skin care needs. This treatment also incorporates a relaxing massage. Specifically tailored to meet the skin care needs of a man, this treatment will detoxify, nourish, and protect against environmental damage and the effects of razor burn.This nourishing facial treatment will leave my skin clear and energized. 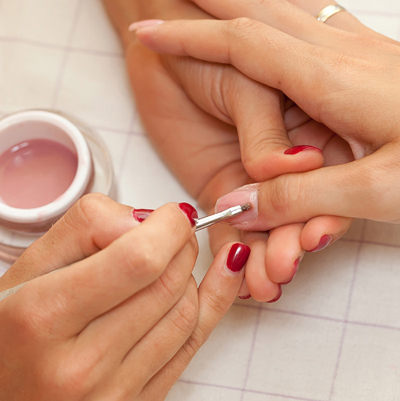 I will indulge in the Luxury Manicure on my romantic honeymoon on Oahu! This premium hand treatment includes cuticle therapy, a relaxing hand and arm massage for circulation, and a tropical hydration masque that will leave my hands irresistibly soft and smooth. My manicure will end with an application of my choice of nail polish. I will sit back, relax and enjoy this Luxury Pedicure on my tropical honeymoon on Oahu. This premium, result-based pedicure treatment will start with them infusing moisture deep into my skin through a warm, tropical masque. Next, I will receive an invigorating foot scrub and leg massage, and an application of my favorite nail polish. 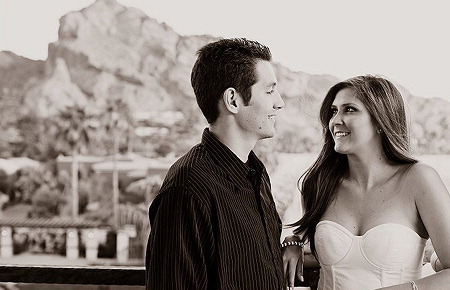 A Hawaiian destination wedding is what we have dreamed of and THE MODERN HONOLULU will make this dream become a reality. We can exchange our vows in the grand ballroom beautifully appointed with fine furnishings and a neutral palette whispered in greys of aged oak beams, hand-painted wall coverings, and black palm fronds brushed onto beige grass cloth.Perfect for a romantic ceremony, the Sun Suite presents an airy den of organic luxury, with lush seating arrangements strewn about with a 1,500-square-foot terrace boasting views of the Pacific and the Ala Wai yacht Harbor. Similarly, the Penthouse Suite offers views of the sunsets and stars from its 1,500-square-foot interior, niched into a lounge and dining spaces, and a 1,400-square-foot wrap-around terrace. We can also choose to have our destination wedding at the pools, lit by the sun, candles or stars. The Sunrise Pool is a private garden paradise with a teak deck softened by the boughs of autograph trees, arbors or bougainvillea and the perfume of jasmine while the adjacent covered lanai provides a transitional space. The Sunset Pool has an exotic allure, a glass-tiled lagoon and a sandy aisle while palms and native dune foliage fringe the scene. Whatever venue we choose, we know THE MODERN HONOLULU will enhance our special day with the love and Aloha of the Hawaiian Islands.